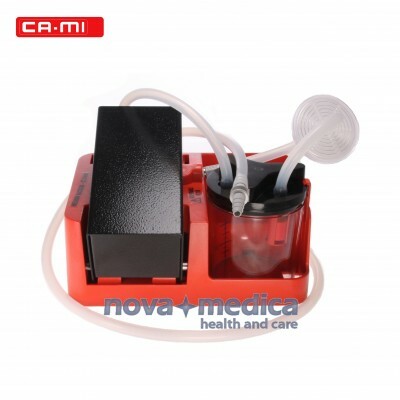 Manual Suction Unit CA-MI Emivac is a portable foot operated suction Unit for soft aspirations (tracheal suction) or emergency aspirations up to 300 mmHg. Easily portable Manual Suction Unit CA-MI Emivac comes provided with a polycarbonate 400ml autoclavable collection jar with overflow valve. As no lubrication or battery change is needed Manual Suction Unit CA-MI Emivac is always ready to use.